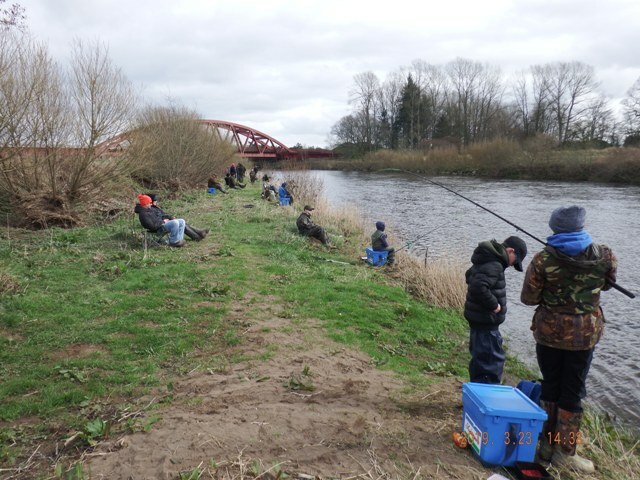 A good turn out of fourteen young anglers along with their parents for the first session of the year on the Dalswinton beat, river Nith. 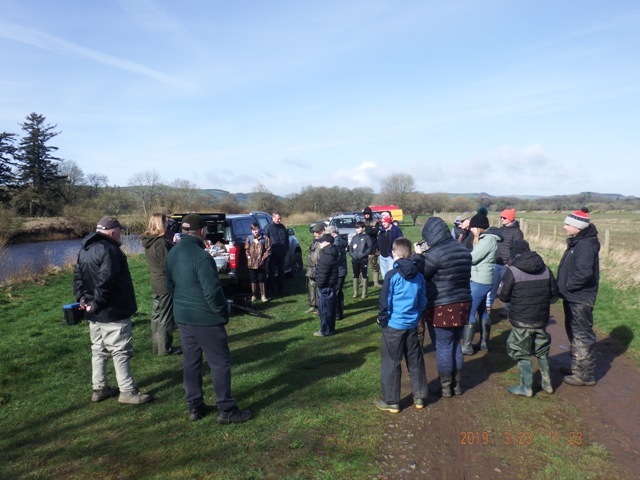 This is the third year that the Nith Catchment Fishery Trust have run this very worthwhile and successful project, designed by Jim Henderson and Debbie Parke with the idea of getting both child and parent into fishing within the Nith catchment. 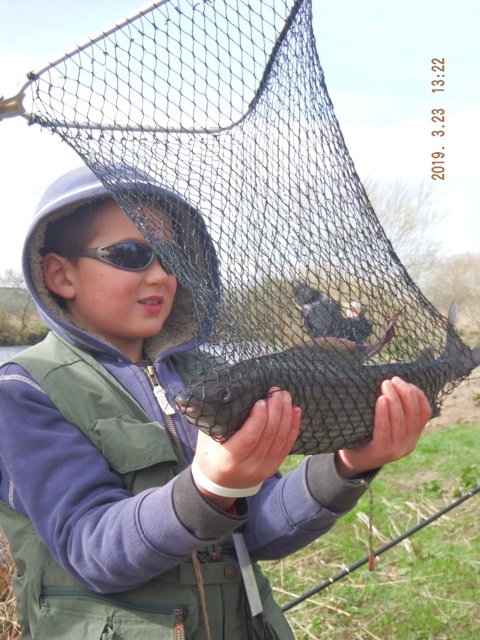 Today was all about the grayling, float fishing and swim feeder tactics. Derek showing how to set things up. 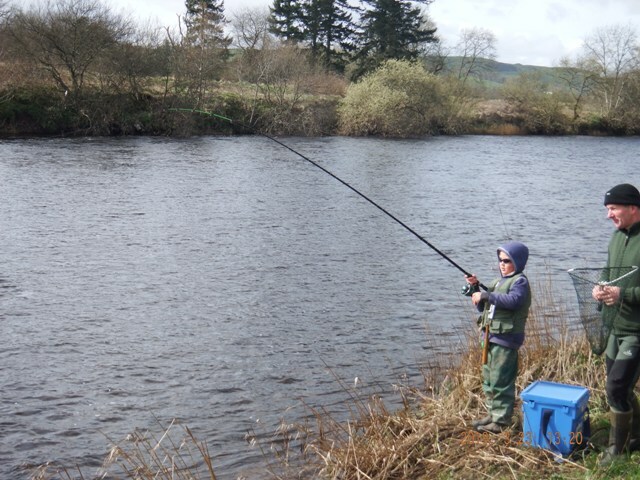 It was not long before Frazier was into a nice grayling! Not a bad start! Unfortunately, we all peaked a little too early, there were a few fish hooked but lost after that. 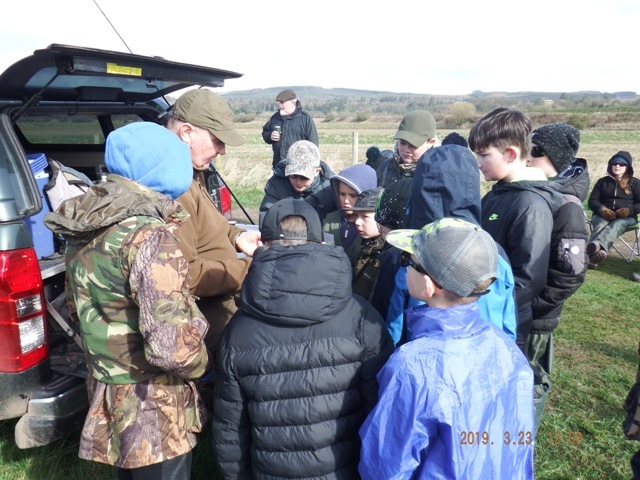 But fishing is not all about how many or how big the fish were, we all had a great day, stayed dry, saw some wildlife, chilled, bonded and had a great day out on the water, until next time! 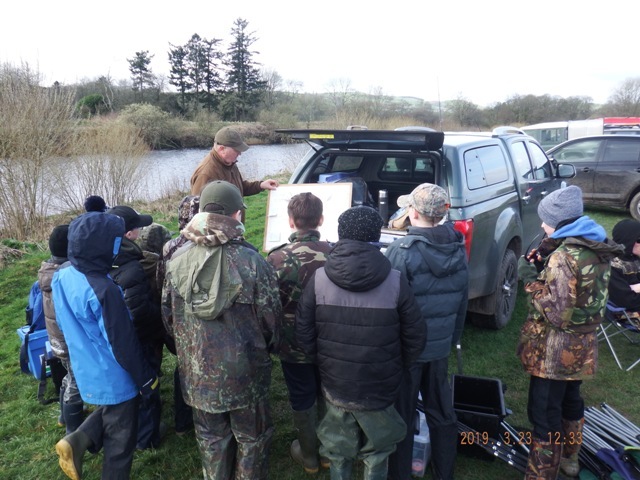 This entry was posted in Nith trust, River Nith, Schools, Scotland, youth and tagged anglingforall, Borderlines, environment, family, funding, Nith Trust, outdoors, River Nith, schools, youth on 24th March 2019 by Glyn Freeman.